6 months after my husband and I started dating, we were married and excited to start our lives together. We both wished to start a family as soon as possible. But after a year of marriage we were heartbroken to find out we had fertility issues and would need medical assistance to make our dream of a family come true. Hashem has his plan for everyone, but we did our part to make this happen. We spoke to Gadolim, our Rabbis and fertility specialists. We had many ups and downs along the way. Growing up, you think having children is easy, but it’s not. It’s a true miracle. Facing fertility challenges really makes you realize how much of a miracle from Hashem every child really is. We davened, went through treatments as well as one devastating miscarriage. All along the way Hashem, family and friends helped to keep us going. And then, after 5 1/2 years of marriage, Hashem finally granted us our dream. We were pregnant with twins! What a miracle!! We were overjoyed with the anticipation of their arrival and the start of our long-awaited family. Baruch Hashem, the pregnancy went well but on the day of the scheduled C-section, Hashem sent us a curve ball. 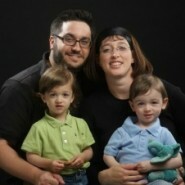 After our boys were born strong and healthy, without warning I started hemorrhaging. One of my placentas hadn’t detached and was continuing to bleed. Throughout the pregnancy and birth we had worried so much about the twins, and in the end it turned out that I was the one in danger. My room was turned into a mini-ICU and I was in and out of the operating room 3 times to control the bleeding. My family was terrified and my husband was overwhelmed until the wise nurses put him to work taking care of his new children and that helped him to cope. It took three blood transfusions as well as platelets and plasma to keep me alive. Several months ago a New York mother with similar complications died after giving birth to twins. The situation was extremely, extremely dangerous. Word spread to our friends and family and their heartfelt davening began. Hashem heard those prayers and granted me a refuah shleima. Miraculously, I recovered and was released with my children within 4 days of the birth, just in time to spend our first Shabbos as a family in our home. Words can’t describe the joy and emotion I felt when I finally got to light my Shabbos candles for each of the precious little neshamos I was now zocha to be with and raise. 5 years of heartache, tears, prayers and dreams had finally been turned into indescribable simcha. 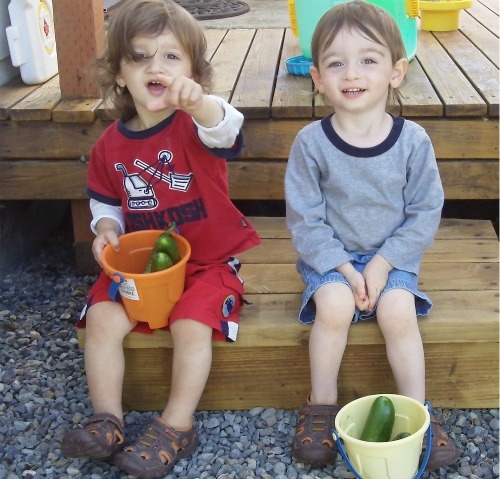 Our boys, Naftali Yosef and Yehuda Nachman, are the joy and light of our lives. Their birthday, 7 Kislev 5770 was not only their birthday but my “re-birth” day as well. An Indian author once said that “The moment a child is born, the mother is also born. She never existed before.” I feel that this saying was especially true for me. I believe that through the power of all the tefilos that were said on my behalf Hashem re-birthed me so that I could care for such special little neshamos. This knowledge also gives me the strength at times to love and guide my children even during the challenging times we as mothers endure. Tefilah is immeasurably powerful, and can move mountains if you believe it can. Wow… we all say Birkat HaGomel after giving birth uneventfully, without realizing how truly gomel chasadim Hashem was with us. Beautiful story and beautiful boys! Seriously…reading this makes me realize how not to take for granted any tefilla or child…what chesed surrounds us daily?! Minute to minute…baruch HASHEM!! Agree 100%. After delivering my second child, I lost so much blood I was very near needing a transfusion, but B”H I was able to recover without, albeit slowly. During labor with my fourth child, I was very sick with two gastrointestinal illnesses, one of which the baby contracted in birth. B”H we recovered quickly. It is an immense gift to have a L&D experience that’s ‘uneventful’ as far as extra, uninvited surprises go. And they continue doing their wonderful chessed by passing down all their twin-worn clothes to me! (Hey, I didn’t know you’re a JewishMOMer!!) I never knew this story… so inspiring, I’m glad I know you. Sara, I’m doing my part to spread Jewish MOM all over Seattle one Mom at a time. Sasha, even though I have heard your story before, it still made me cry. I think because I know first hand how especially beautiful and special your family and boys are! This a beautiful telling of such an incredible experience. I am so thankful that you and the boys are healthy, and feel such pride and amazement watching you and Scott be such an amazing couple and parents to two sweet and wonderful miracles: Naftali & Yehuda. What a heartwarming story! Thanks for sharing. The image of you lighting candles that 1st Shabbat moved me to tears.